You are invited to attend the 2011 OTMA Annual Meeting & Luncheon on Thursday, August 11, 2011 at 12:00pm. The meeting and luncheon will take place at the University Club (123 University Place, Pittsburgh, PA 15260). We ask that you please register online in order to attend. 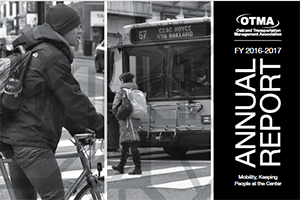 Representatives of Pittsburgh City Council will be joining us to discuss transportation and other community challenges that impact Oakland and the city at large. Early Bird Registration fee is $20.00 for those who register before July 29. Registration fee is $25.00 thereafter. How does losing bid for drilling referendum impact city residents?